No stroller pushes like a Bob. Even loaded with two heavy kids, you can push it with one hand. We live on a gravel road and the shocks on the Bob are exactly what we needed. 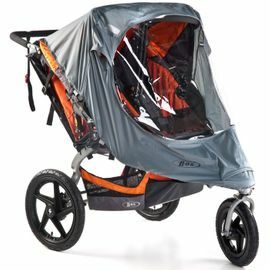 It�€™s the only double stroller I have ever tried (and I have tried a few...) that I can honestly say is a pleasure to use. I am having a 4th baby and my 2 and 3rd baby are already close in age and this was the best decision ever. I should have purchased it a long time ago! 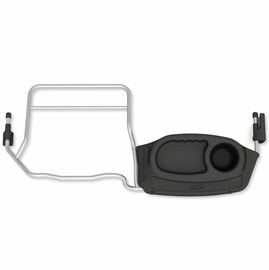 It makes my outings so much easier and I have been taking my kids to the park and we have been going on walk more often too. ProsIt is super easy to maneuver and being pregnant I am happy to have my toddler and preschooler together in there. I feel I am more active and my boys love all the walks and little hikes we are doing. This stroller does the job! My toddler is used to riding in the singular BOB, but we just had a baby and wanted something they both could ride together in. 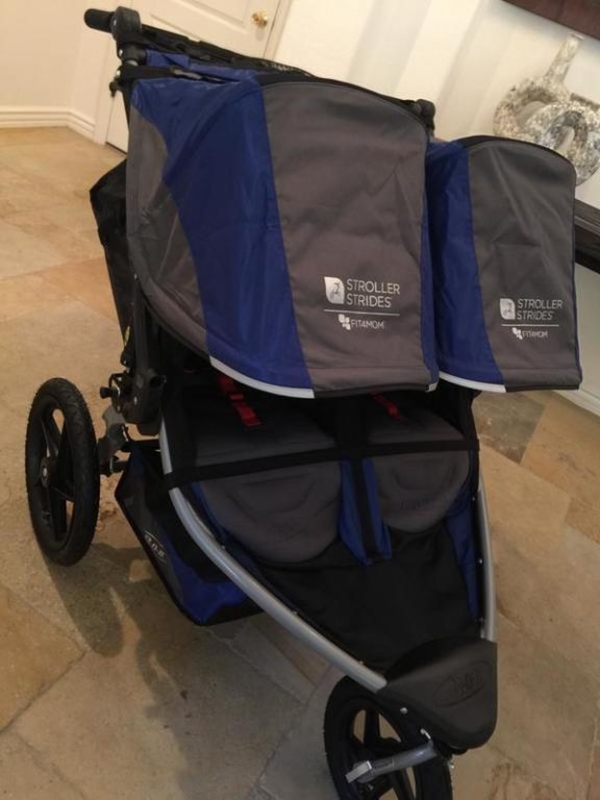 This stroller is great - my toddler is comfy and happy, and my infant is securely locked in, and I can get some exercise In these early weeks! Best UsesWalking, running. Trails and city. You can maneuver it around stores, but it?s more difficult as it?s pretty wide. I already had a single BOB but with two little ones I needed to step it up. 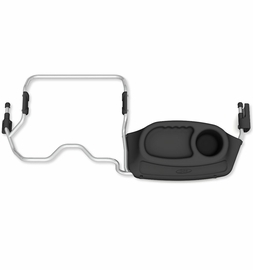 The handling is great and it turns so smoothly with the lightest touch. It barely feel like much extra weight compared to the single (except up the hills but that's to be expected). The only downside is it would be nice to have the hand break for the downhills but I knew it didn't have one when I bought it. The kids enjoy the ride and the extra large canopies are nice. I haven't used it much yet since I just got it but so far I love it. I am so glad I went for it and got the double Bob rather than another two seater jogger. The extra expense is worth it if you want to be getting those steps daily and enjoy it.. 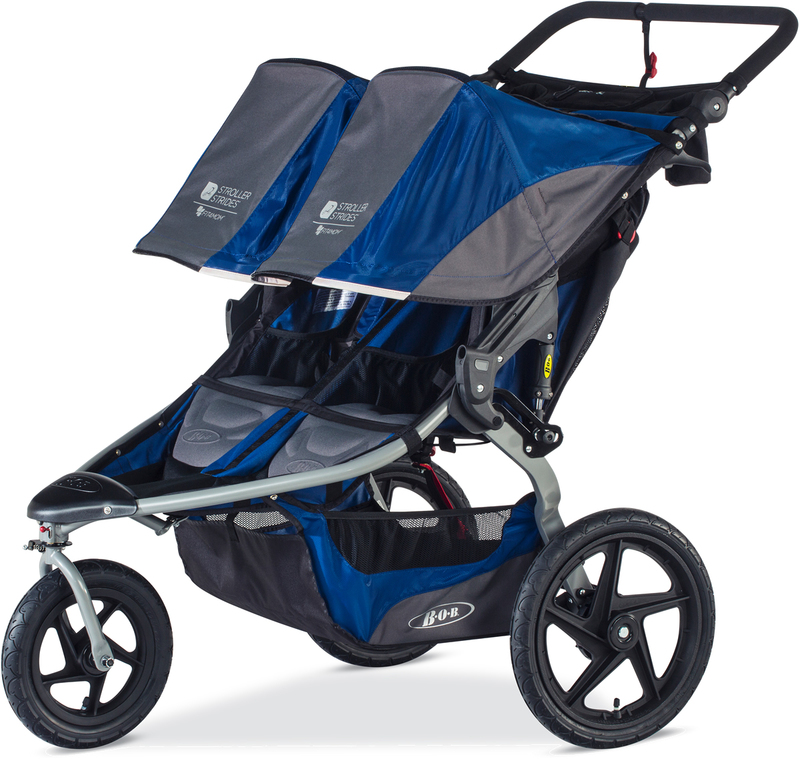 This stroller glides like a dream and my boys love riding in it while I run. The canopy is fantastic and pulls down much farther than I expected, shielding them from the wind and sun. It takes bumps, hills, and turns like a dream and is easy to control. Perfect for 2 under 2! 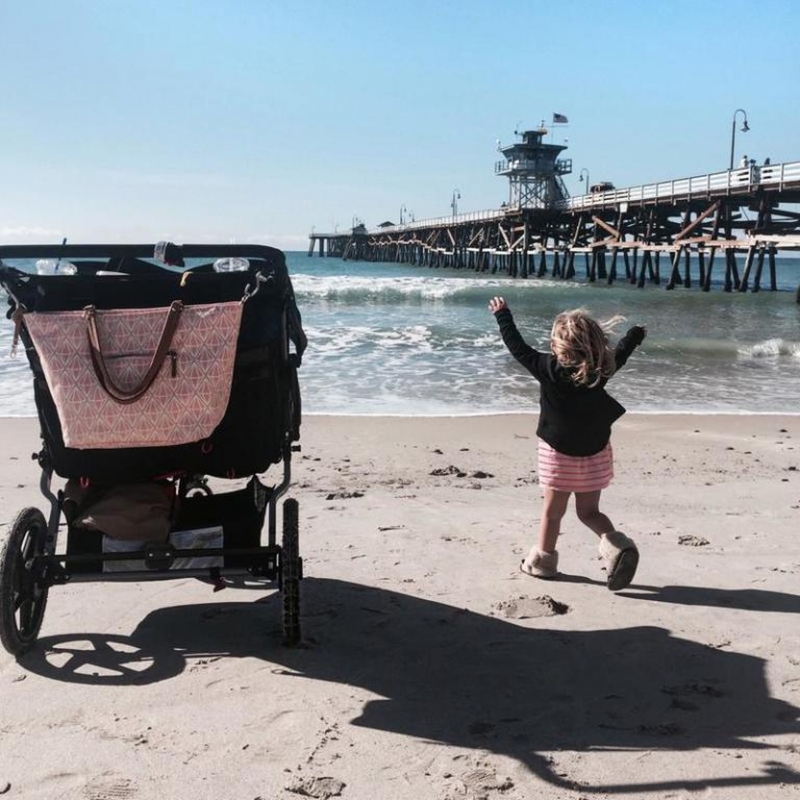 This stroller has made it possible for me to get out of the house with both my babies ! I am very happy with the purchase. It handles very well. The height is absolutely perfect (I�€™m 5�€9) and it isn�€™t as heavy as I anticipated it to be. The kids seem to love it also! Stroller came in great time and was new and nice. Looking forward to using it! We already have a bob single so knew what to expect, and highly recommend the bob for running, or all terrain. 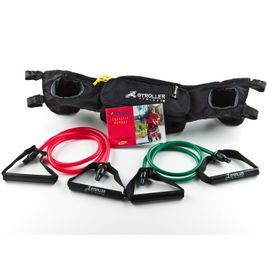 Work great on almost all surfaces, just more bulky and not quite as light as travel strollers. 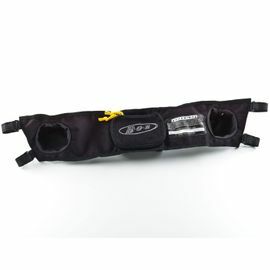 Our only negative to our bob is it pulls right, even after adjustment, which is annoying at times but only in run mode. I bought this for my daughter n'law. She loves it and uses it everyday. She loves that she has the option to make it not turn or jogging and to turn when using it regular. Love this product so much that I am buying another single...not double for a shower present. 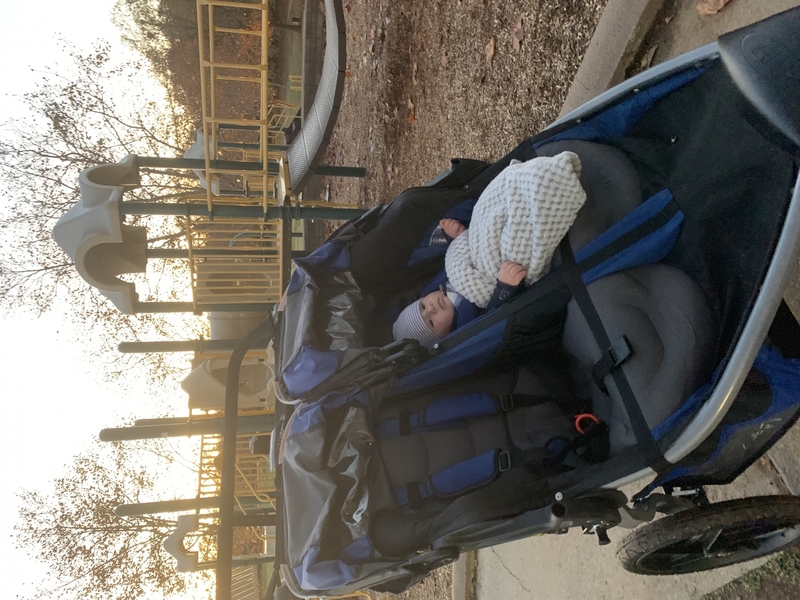 We recently upgraded to a double Bob stroller and love it. 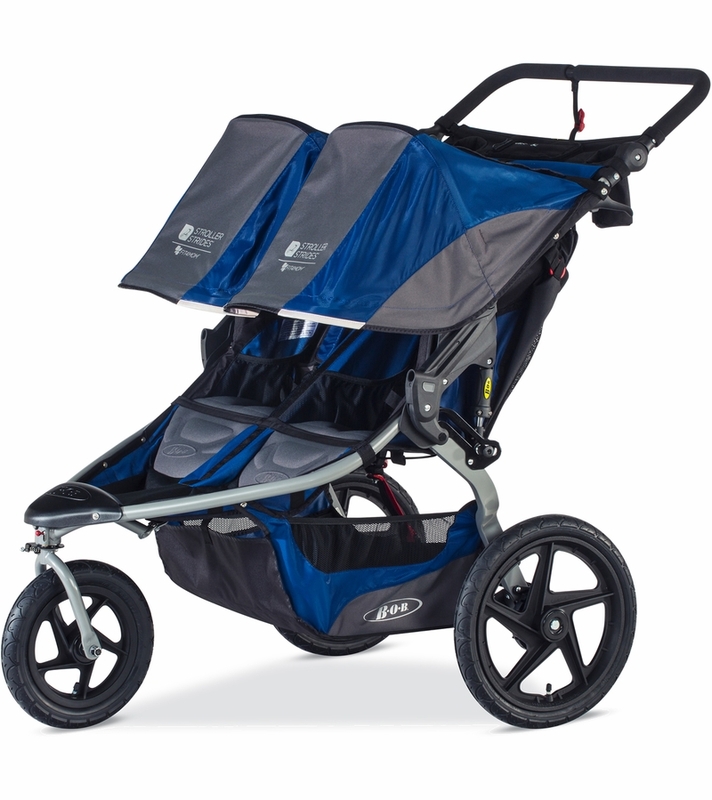 It pushes easily and light through tough terrains with kids in tow. We bought it at a great deal on Albeebaby.com with free shipping and no tax and was shipped the next day! We have loved this stroller. 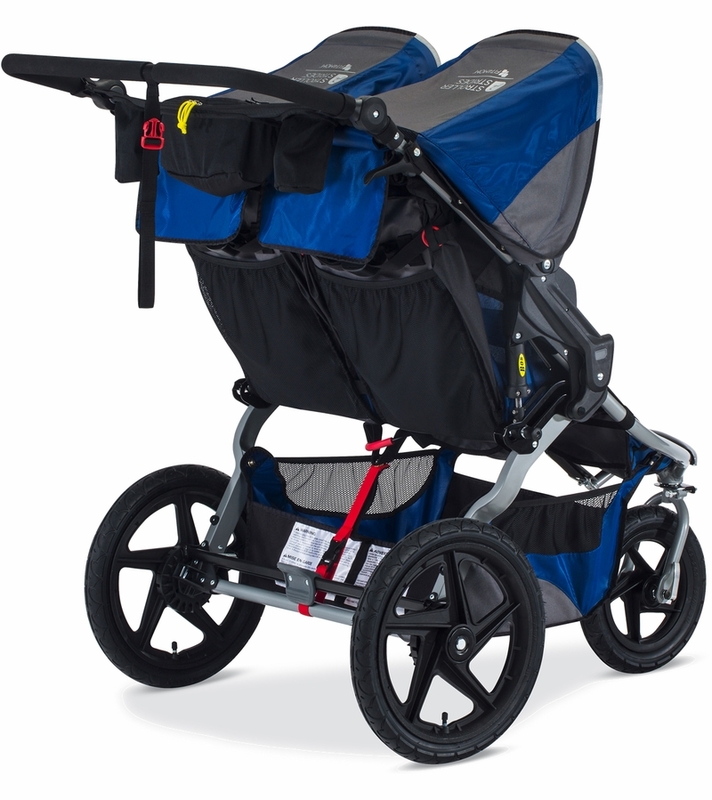 It drives so smoothly, my babies can sleep and stay asleep in it for the whole walk! 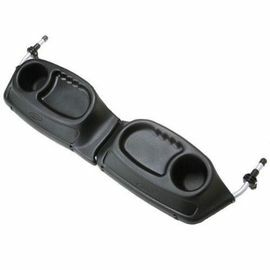 The seats are comfortable for them, the shade is long so it provides great coverage.It fits in the back of our Honda Accord without taking the tires off, which I didn't expect. We love it! Best price and quickest shipping I could find on the internet. I was looking for a BOB double to replace another. 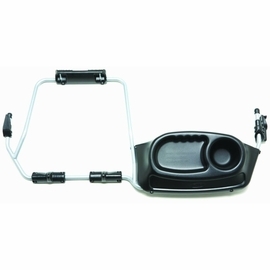 This model comes with the handle bar caddy and two exercise bands. I'm only wondering why I didn't buy this stroller earlier. It handles amazingly and pushing is almost effortless. 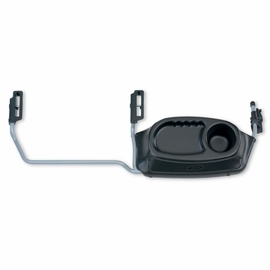 Really wanted a cupholder/console and getting the Stroller Strides one included it at a cheaper price. I have no issues with any sag in the middle as with I've seen in previous models. The only downside would be that I wish there wasn't a strap in the middle of the bottom basket so it would be easier to get things in. There are some really sweeeet updates to this BOB! The improved brake, reclining seat and handlebar adjustments are 3 of the highlights for me. The ride is smooth, the kids are SUPER cozy, and I am able to get my workouts in! I've had this for about two months and I love it! I have a 3 year old and a one year old. I love how smooth this is and how easy it is to maneuver. It's also very easy to break down and set up! It's my favorite double jogger by far! A must have if you have young kids!! 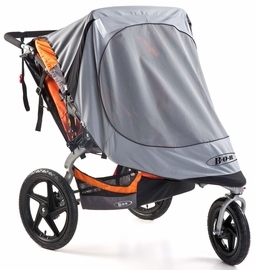 I've loved BOB Strollers since the birth of my first child in 2010. 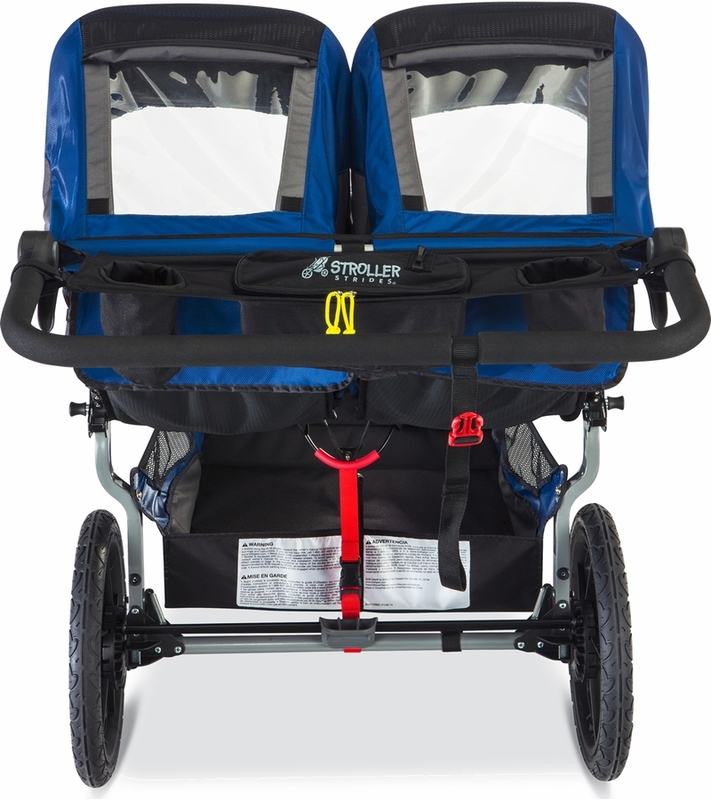 Quickly upgraded to a Duallie in 2013 with my second and received the newest 2016 Stroller Strides Duallie this week as a gift (I'm expecting my 4th baby in October) and am in LOVE with the new features! 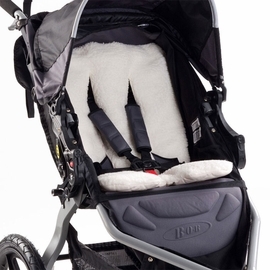 GREAT canopy depth, EASY reclining adjustment of seats (I also appreciate that the seats are able to sit up a bit more now), and who can't use that extra storage space in the bottom as a mom?! 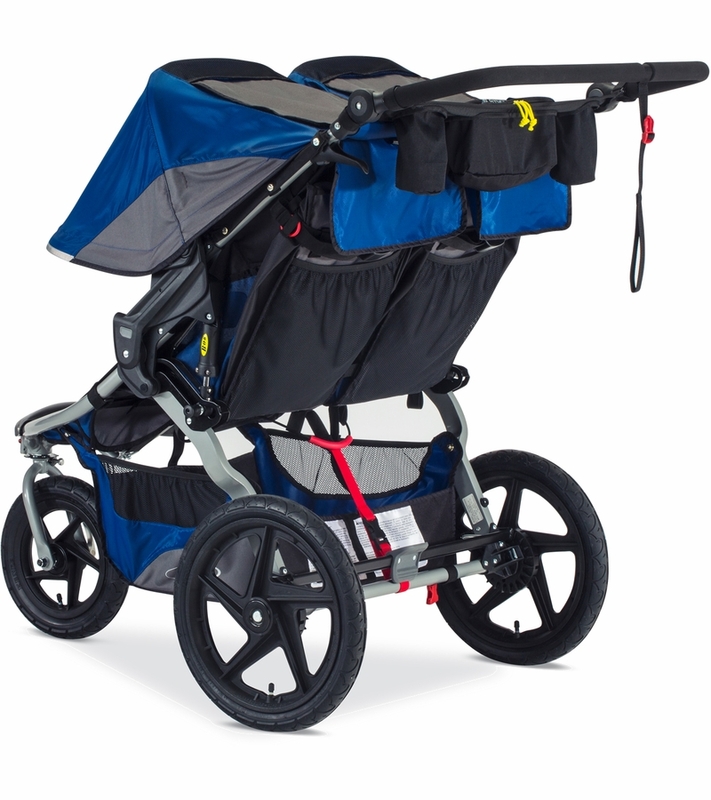 Add all of this with the things that I've always loved about this stroller (compactability, easy maneuvering, quick to clean, and of course perfect for my Stroller Strides workouts).... I'll never recommend any other type of stroller! Can one side recline without the other or does the whole thing need to recline?